Portfolio bid strategies are automated, goal-driven portfolio strategies that can help you optimize across multiple campaigns, keywords, and ad groups. 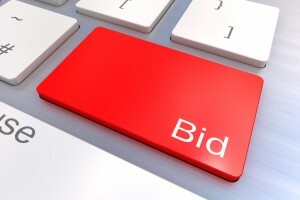 They work by automatically setting bids for every auction to help you achieve your targets and goals. They also act as a one-stop-shop for flexible strategies for all of your campaigns, keywords, and ad groups. Automated bidding takes on the bulk work of setting bids as you try to reach your performance goals. Each of these advanced bidding strategy constructions is designed to help you achieve a specific goal for your business. Some of these goals may include increasing your site visits, increasing your visibility on the first page of Google search results, getting more visibility over other domains, increasing your conversions with your target CPA, increasing conversions while maintaining control of your keyword bids, meeting a target return on ad spend (ROAS), maximizing clicks, targeting search page location, targeting cost per acquisition (CPA), and enhancing cost per click (CPC). Google’s flexible bid strategies were designed to help advertisers understand their bidding better, and spend less time finding strategies about what to do. Unfortunately, many people struggle to see the benefits of these strategies, as well as how and where to use them, and how to measure success. Flexible bid strategies optimize certain goals across set campaigns, ad groups, and keywords. When these strategies are created, they are shared across your Google AdWords, and Shared Library, to make it accessible in one location. This one-stop-shop also makes it easier to track performance along the way. By following bid strategy best practices, your portfolio may result in clarity, synergy between brands and programs, relevance that provides visibility and credibility, differentiation, brand platforms, brand assets, and clear brand roles. If you’re looking to enhance your marketing strategy through the use of portfolio bidding strategies, it is a good idea to speak with the professionals about how it’s done. Numero Uno Web Solutions provides our clients with many marketing solutions which include content audit services, search engine optimization (SEO), pay-per-click (PPC), social media marketing services, online reputation management, web designing and development, and more. We are a content marketing agency in Toronto that specializes in helping start up and small businesses improve their web sites. For years, we have helped clients across the Greater Toronto Area, Texas, Massachusetts, and Florida, boost their marketing strategies and grow their businesses. Call us at 1-855-SEO-XPRT to learn more about the services and expertise we provide.